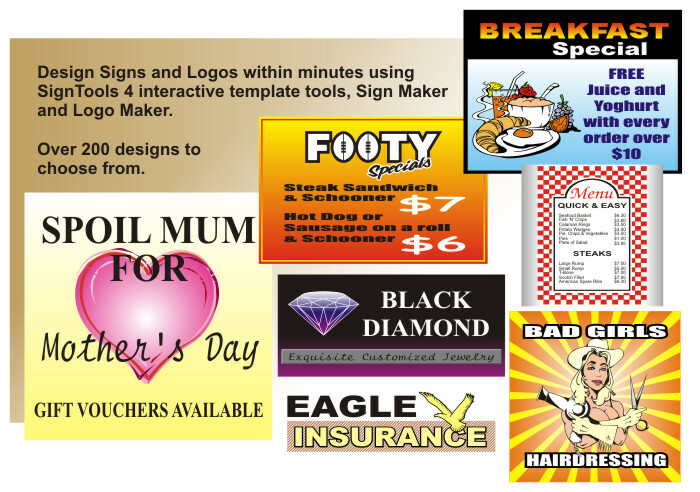 SignTools 4 is the most powerful and easy to use sign making add-on for CorelDraw. Many of these tools make designing vinyl cut and large format printed signs a breeze, even if you are not a skilled designer. It works from within Corel Draw and eliminates the need to export graphics and then import them into sign making software. In fact SignTools 4 turns Corel Draw into arguably the best sign program currently available. It can be moved to any part of the screen and also contains a customizable Quick Palette, allowing users to setup the program with their most used tools. The Quick Palette makes using the tools faster than ever before. You can even click on the "Auto" option allowing you to use tools with a single click. This is ideal if use certain tools with the same settings every time. 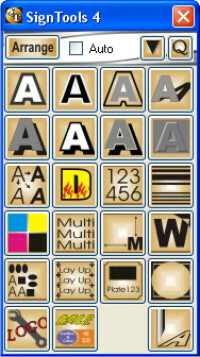 Shades & Decorations - SignTools 4 contains 13 quick and easy to use shades and decorations. Included are Outline, Relief Outline, Outline & Shade, Relief Outline & Shade, Drop Shade, Relief Drop Shade, Relief Effect, Inline, Cast Shade, Relief Cast Shade, Highlight, Emboss and Highlight & Sink. Text Tools - 5 innovative text tools. Bold/Italic - Ideal for fonts that don't come with bold and/or italic options. Descriptive Text - Create amazing ready-to-cut text effects. Price Formatter - Handy for price cards. Now includes Euro symbol. Auto Numbering - Creates a set of consecutive numbers - choose font, height etc. Now with Prefix and Suffix option. Design Tools - Template driven interactive tools that are not available in any other software. Border Maker - Contains over 100 interactive border templates. 70 more than SignTools 3. Pinstripe Maker - Custom and Standard pinstripes. Logo Maker - Create new logos for your clients within seconds. Productivity Tools - 11 tools to assist you in preparing your graphics for cutting and large format printing. Clip To Top Of Page - Splits text or graphics when they are wider than the vinyl you are using. Panelling - Similar to Clip To Top Of Page - For vinyl cutters that have a cutting length limitation. Shape Converter - Quickly replaces shapes. Remove Overlaps - Quick weld tool for script lettering. Color Separator - Separate colors for cutting - Many options. Multicopy - Creates multiplies of object(s). Weedbox - Places weed border around object(s). Option for all objects. Now comes with easy weed lines option. Vinyl Saver - Optimizes your files to use less vinyl. Measurements - Ideal for creating scaled layouts. Plate Maker - Create multiple name plates for engraving. Use one of the templates, or create your own. 3200mm (126 inches) limitation for most vinyl cutters. What Do SignTools Users Have To Say? How much Does SignTools Cost? SignTools 4 is only $349 AUD (Australian Dollars) and includes FREE shipping to anywhere in the world. SignTools 3 users can upgrade to version 4 for only $199 AUD (Australian Dollars). To order click here. The SignTools 4 Demo is a fully functional evaluation version, limited to 30 days. 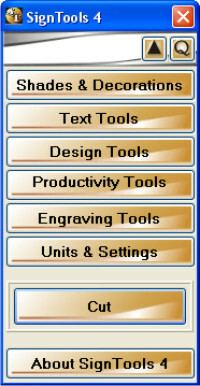 Just like the full version of the program it contains all 35 sign making tools as well as direct cutting from CorelDraw. The SignTools 4 demo version is 128 MB in size. To download click here. The SignTools 4 User Guide now comes in English and German. To download a 15.8 MB zipped PDF file of the SignTools 4 English User Guide click here. To download a 15.8 MB zipped PDF file of the SignTools 4 German User Guide click here.